Longtime Sen. John Kerry, D-Mass., seems poised to succeed Hillary Clinton as Secretary of State, but no announcement appears imminent in the wake of recent mass shootings in Connecticut, and senior White House officials said that as of this weekend a decision had not yet been made. Kerry, who is currently chairman of the Senate Foreign Relations Committee and has made no secret of his desire for the post since Mr. Obama took office, has looked increasingly likely to earn the nomination since U.N. Ambassador Susan Rice - previously thought to be the favorite to succeed Clinton - withdrew her name from consideration last week. Rice's decision came amid ongoing controversy surrounding comments she made in September about the recent violence in Benghazi that resulted in the deaths of four Americans, including U.S. Ambassador Chris Stevens. Now, she is expected to remain in her current post at the U.N. at least until another high-profile cabinet position opens up. 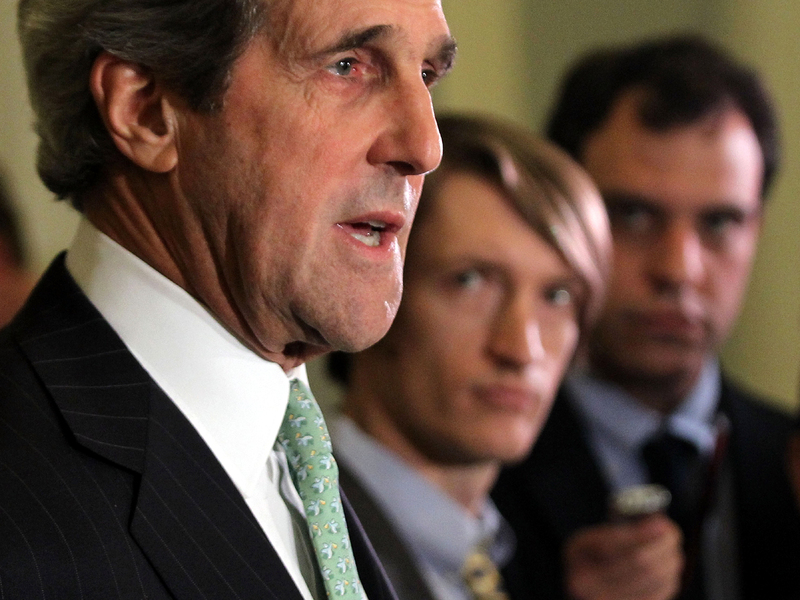 Kerry's nomination, however, is not a done deal. White House officials told CBS News Saturday there was still a "slight chance" Mr. Obama would name someone else to the post. And amid speculation about who will fill a handful of remaining cabinet vacancies, the New York Times quotes one White House official who expressed "some discomfort" with the notion that the president's second term national security team would be comprised of white males. There's another possible hitch to a Kerry nomination: It would open his long-held Senate seat, potentially opening the door for Scott Brown, R-Mass., who lost his seat last month to Democrat Elizabeth Warren, to attempt a return to the Senate. Even so, indications suggest that Kerry, the 2004 Democratic presidential nominee, has no major competition for the job, and many believe he'll be tapped as head of the State Department at some point this week or beyond.